SPOILER ALERT: As the eighth week of Big Brother comes to a close, stay with WeLoveBigBrother.com for up-to-the-minute updates throughout tonight’s live eviction episode. 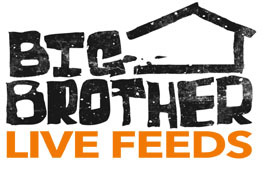 As Big Brother 11 draws to a close, be sure to use your 3-day free trial on the 24/7 live feedsto watch the houseguests at any time of the day or night. HOH Competition in real-time on the 24/7 live feeds. WeLoveBigBrother.com will be at the 2-hour Big Brother 11 finale. Well be interviewing the BB11 houseguests in the backyard of the BB house and will post our interviews LATE on Tuesday, September 15th. Tell your BB friends that WLBB is the place to be on finale night! For more information and to submit questions, click here.